Cleverly built with meticulous attention to every detail, the Sony line of products have always been about customer needs and satisfaction. Right from an immersive soundstage to immaculate design, the Sony audio products think about every aspect, from aesthetics to performance. The Sony MDR-XB500 Diaphragm-driver Extra-bass headphones are the ultimate destination for bass-headers. Meant to provide a cosy solitude coupled with a high-definition music experience, the headphones from Sony come with a direct vibe structure that provides high levels of noise-isolation, and fluffy king-sized earmuffs that snuggle the ears for maximum comfort. The headphones aim to provide a music experience that is rich, luxurious and booming; indeed, they are some of the best over-the-ear headphones in the market. 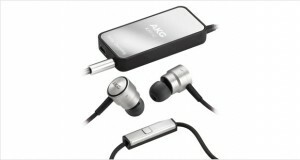 The headphones have enough competence to give the higher priced products from Bose a run for their money. Indeed, the headphones are one of the best midrange equivalent noise-cancelling headphones in the market, with a tightly sealed acoustic design and angled ear-pads to reduce pressure on the ears during extended periods of wear. The extra bass offers the pulsating thump often found in live concerts and pubs. The sound quality from the stereo outputs is satisfactory, though equalisers are needed to give the high and mid-ranges their shine. 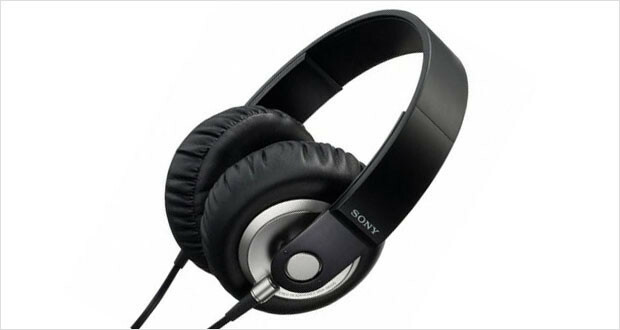 The Sony MDR-XB 500 headphones has a build quality that parallels the sound it delivers. They come with clever craftsmanship and good engineering that makes the product durable and fashionable. The large pillow-like earcups provide noise-cancellation while being supremely comfortable. The headband is cloth lined and do not heat easily. The chord is Y shaped and flat, making it tangle resistant. The L-shaped connector reduces pressure at the joints to give the product a longer lifetime. Dimensions12 x 9.5 x 4.5"
Construction is bulky and the joints are slightly prone to breakage. Overall, good engineering. 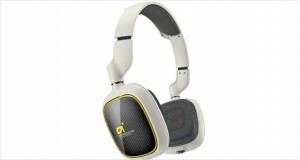 The headphones come with a pair of very heavily cushioned king sized earmuffs. They are extremely comfortable and do not fatigue easily. The treble is damp and diminished. Mid range is recessed and lacks a bit of warmth. The bass is vibrant and pulsating. Noise-reduction is passive. The tightly sealed acoustic design allows for high noise-isolation. The MDR-XB 500 headphones delivers what it promises; a palpable bass. 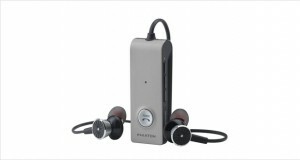 The overall clarity and sonic experience is satisfactory. EQ adjustments are necessary to balance out the bass. The Sony MDR-XB500 Diaphragm Driver headphones pack in the punch with their extra bass. However, without equalisers, the high and midranges appear slightly muddy. The build is clever, with the large pillow-like earmuffs providing a snug and comfortable wear. The chord is tangle resistant but short. Overall, performance is balanced out and the price is reasonable.